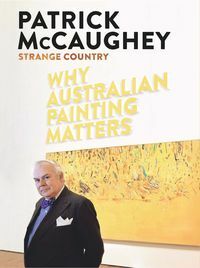 Ever since he saw a prize exhibition as a schoolboy at the National Gallery of Victoria—which included such contemporaries as Charles Blackman, Leonard French, Roger Kemp, John Brack and Fred Williams—to the time he directed three leading art museums in Australia and America, Patrick McCaughey has championed the cause of Australian artists. 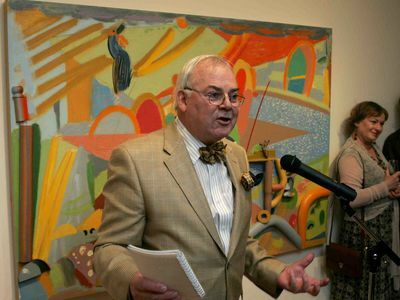 He became Director of the National Gallery of Victoria 1981-87 and spent the northern academic year 1986-87 as Visiting Professor of Australian Studies at Harvard University. Between 1988 and 2001 he was successively director of the Wadsworth Atheneum and the Yale Center for British Art. He directed the Festival of Ideas at the University of Melbourne 2009-11 and holds an LL.D (Honoris Causae) from the University of Melbourne. Patrick McCaughey has published widely on Australian, American and European Art.